As I sit at my computer buckets of rain are pouring down in Orange County, California, reminding me of my early December trip to the Willamette Valley when rain persisted throughout my four day trip. 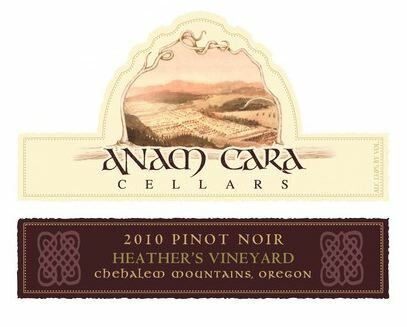 The bright spot was that I had journeyed to Oregon for a special vertical tasting of Anam Cara Cellars Heather’s Vineyard Pinot Noir Vertical Seminar & Tasting held at Anam Cara Cellars’ Tasting Room in Newberg on December 6, 2015. Owners Nick and Sheila Nicholas have quite a following, and well over sixty people showed up for the seminar. 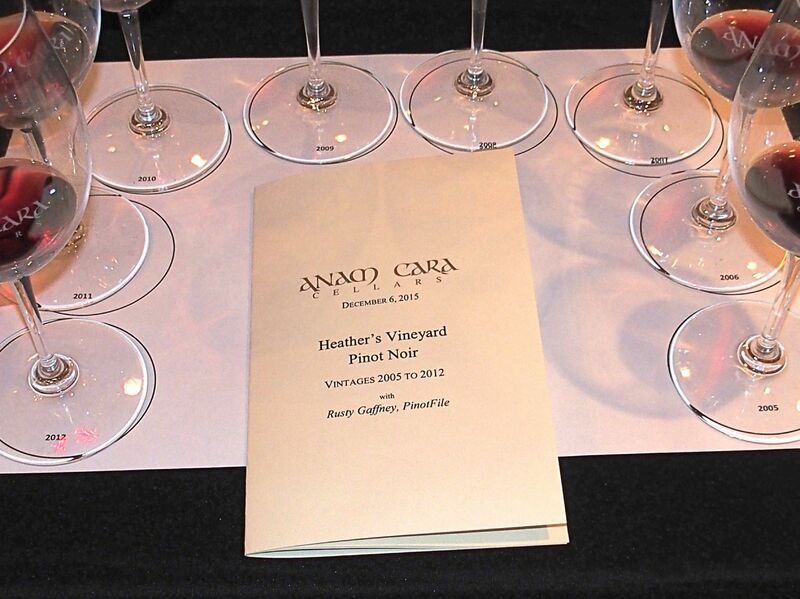 Anam Cara Cellars is a small family estate vineyard and winery founded in 2001 focused on Pinot Noir from estate grapes, with smaller production of estate Chardonnay and Riesling. 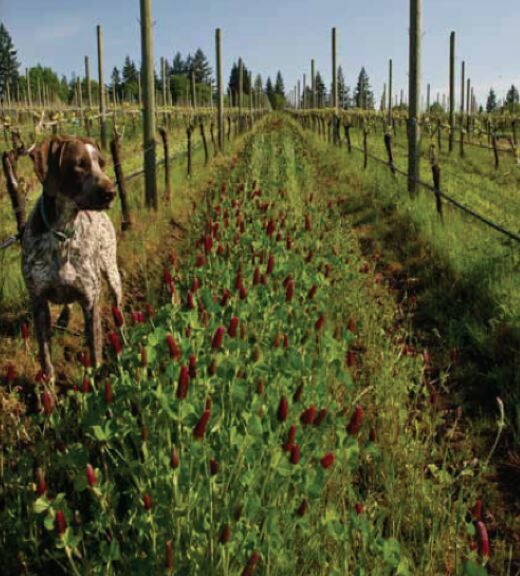 The 33-acre vineyard is located on the southeastern slopes of the Chehalem Mountains, just north of the town of Newberg, and was originally an overgrown walnut, hazelnut and plum orchard with a neglected Christmas tree forest and a quaint farmhouse dating to 1902. Initial plantings of the Nicholas Estate Vineyard began in 2001 consisting of 27 acres and including 5 5-acre blocks of Pinot Noir clones 114, 115, 667, 777 and Pommard, along with one acre each of Chardonnay and Riesling. Later, six more acres were planted in 2-acre blocks each of Wädenswil clone Pinot Noir, Chardonnay and Riesling. The site lies between 350 and 650 feet elevation with well-drained soils of primarily the Loess (wind blown ice age sediment) series with outcroppings of volcanic Jory soils. Farming until recently has been done by Nick and Sheila assisted by their son Mark and daughter Heather using both organic and biodynamic practices (the vineyard is both certified L.I.V.E and Salmon Safe and the winemaking facility joined the L.I.V.E program allowing the wines to qualify for Oregon Certified Sustainable Wine status. Anam Cara is Celtic for “friend of my soul” and represents rare friendships that transcend time and distance and symbolizing the long journey the owners have taken to make wine. Sheila hails from Scotland and Nick from Lodi, California. They met in London while both were working and in 1981 returned to the United States where they married and opened a small chain of pizza parlors in Northern California. The Pinot Noir lineup includes the following bottlings: Estate, Estate Reserve, Heather’s Vineyard and Mark (Wädenswil clone bottling was offered in addition in 2011). Heather’s Vineyard, named after the Nicholas’ daughter, is intended to be the most elegant expression of the vineyard (the Mark bottling is the most masculine expression of the vineyard). Once-used French oak barrels are used for aging. 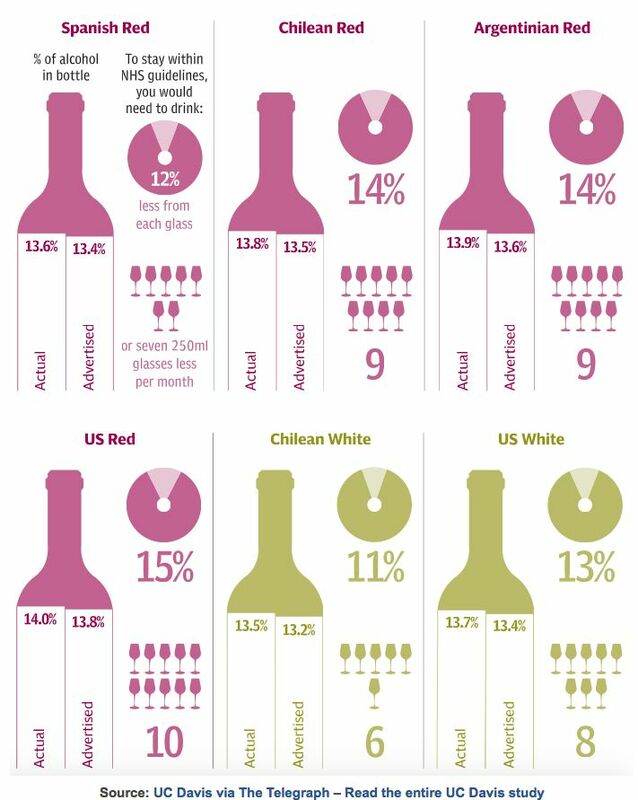 Grapes are selected from Reserve rows, cropped to less than 1.5 tons-per-acre. In vintages 2005, 2006 and 2007, Heather’s was made with 100% clone 114. Clone 114 is rarely used as a stand-alone clone since it is inconsistent from site to site, sometimes offering a rich aroma of cherry and spice and a soft, lovely demeanor, and other times being thin, hard and tannic. The Nicholas Estate Vineyard turned out to be very suitable for clone 114 and it offered the elegance when grown on this site that was desirable for the Heather’s bottling. From 2008 to 2011, clone 114 was used in combination with other clones and 2012 was again 100% 114. The winery’s initial winemaker was Aaron Hess (2005 to 2009) and his successor is Michael Collins who crafts the wines at 12th & Maple Winery in Dundee. Nick and Sheila have considerable say in the winemaking and blending. The purpose of the seminar was to first taste a vertical of Nicholas Estate Pinot Noir, 2005-2012, to consider the vertical of Heather’s Vineyard Pinot Noir to follow in the context of the vintage. What surprised me most about this vertical tasting was that two less esteemed vintages in Oregon, 2007 and 2011, produced exquisite wines that were aging beautifully. Also it was commendable that each vintage of Heather’s displayed an elegant style that contrasted with the more full-bodied Estate bottling. 13.4% alc., pH 3.60, TA 0.57, 50 cases. 50% 114, 26% 777 and 24% Pommard. Aged in once-filled French oak barrels. 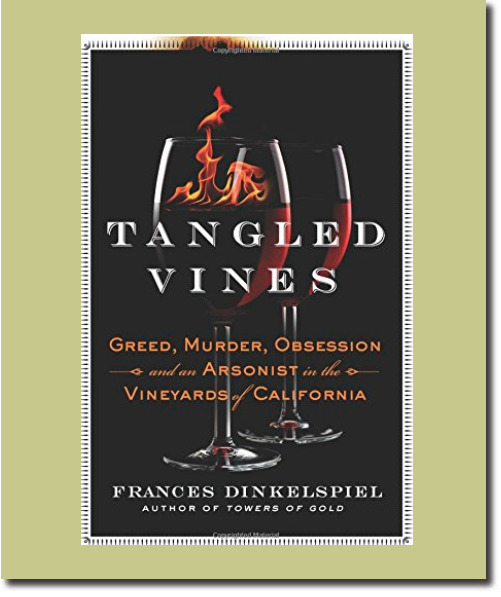 · I was enthralled with this wine when I reviewed it in 2012, but this bottle didn’t have the same appeal. Austere, under ripe and slightly herbaceous. Check with the winery about availability of these older wines. At the seminar, only the 2008 Heather’s Vineyard Pinot Noir was sold out, with all other vintages still available. The 2011 and 2012 Heather’s Vineyard Pinot Noir were still available in magnum ($160 regular, $136 club). 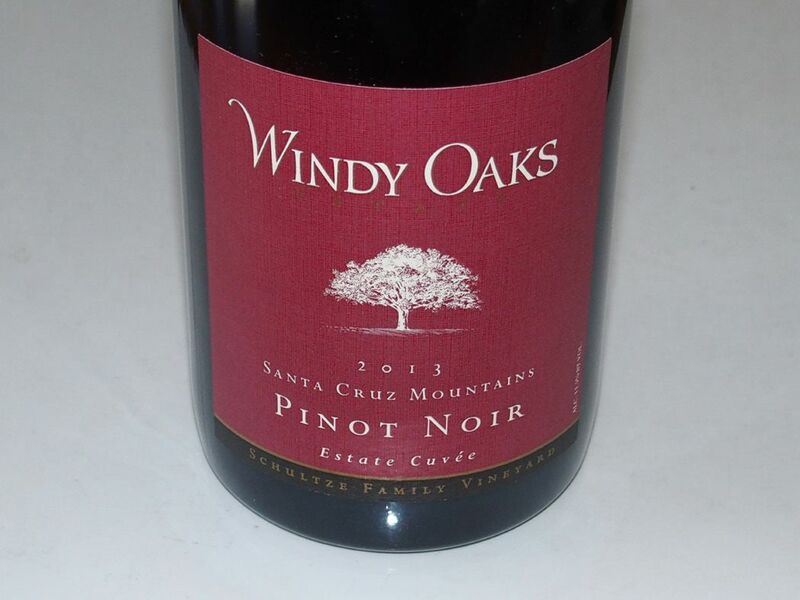 Many vintages of the Nicholas Estate Pinot Noir are still available in limited quantities. Albatross Ridge winegrower and winemaker Garrett Bowlus studied abroad at the University of Dijon, followed by internships in Oregon, and studied viticulture and enology through classes at UCLA and UC Davis, but he is largely a gifted, self-taught winemaker. His family established a vineyard in Monterey County and Brad began making wines solely from that vineyard. The 25-acre Albatross Ridge Vineyard is seven miles from the Pacific Ocean at elevations reaching 1,250 feet, featuring unique limestone and shale soils. Located near Talbott’s famed Diamond T Vineyard, it is a cool, windswept site, where temperatures rarely exceed 85ºF. Heat accumulation is a mere 1,650 to 1,950 degree days putting it in the Region I or coolest area on the Winkler scale. 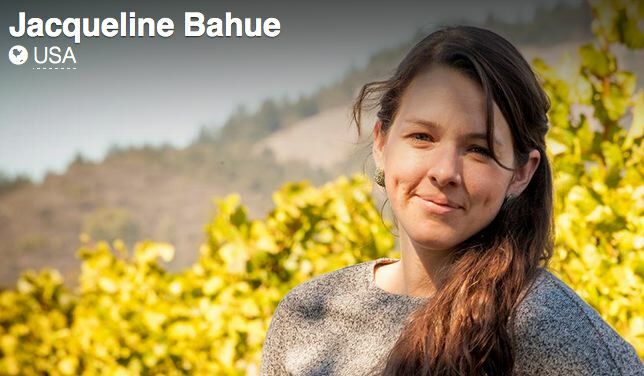 Albatross Ridge is literally farming on the edge of cool climate viticulture. The vineyard has twelve distinct blocks including eight blocks and four clones of Pinot Noir (“828,” 777, Pommard and 115) and four blocks and two clones of Chardonnay (96 and 15). 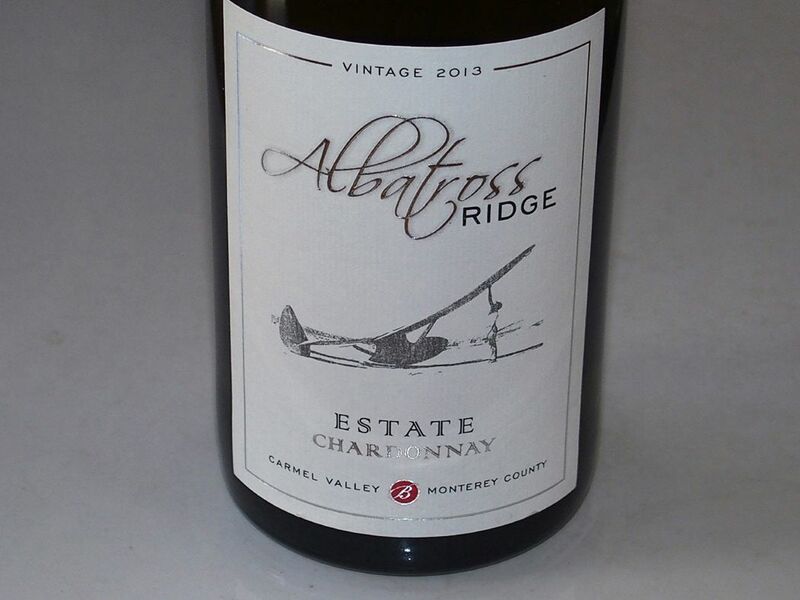 Interestingly, Brad’s grandfather, William Hawley Bowlus, was a pioneering sailplane designer and used the exact site of the vineyard to test his Albatross sailplanes in the 1930s so the name of the winery seemed destined to be Albatross Ridge. For more information, visit the website at www.albatrossridge.com. A stellar Pinot Noir specialist in Humboldt County producing wines that are reasonably priced considering their high quality. 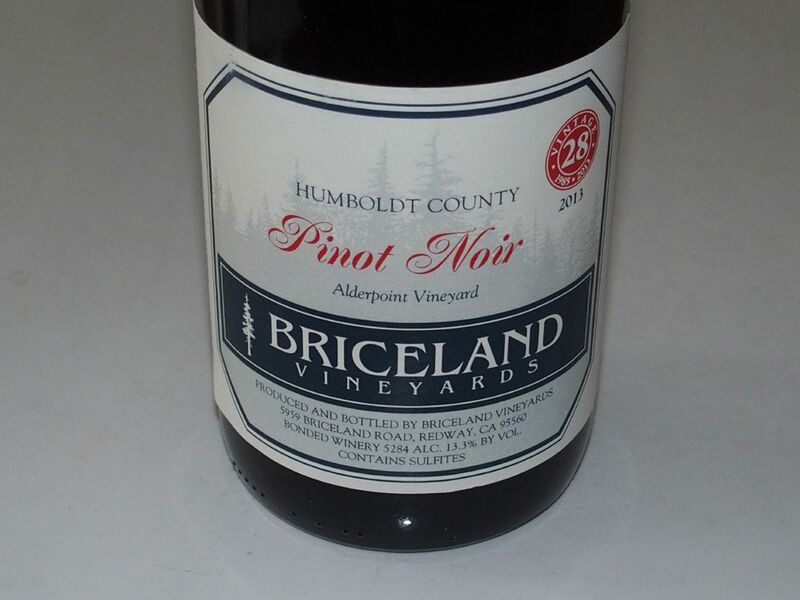 Winemaker Andrew Morris took over winemaking in 2011, and along with spouse Rosie Morris assumed ownership of Bricelands Vineyards from founding winemaker and stepfather Joe Collins in 2014, and the wines continue to shine. Tours and tasting by appointment: www.bricelandvineyards.com. Wines are sold locally and in the tasting room. Phone 707-923-2429 to order. Bill and Mary Byington bought 95 acres in the Santa Cruz Mountains in 1958 with the intent of using it as a family retreat. Bill was a wine collector and a winemaker suggested they plant a vineyard. 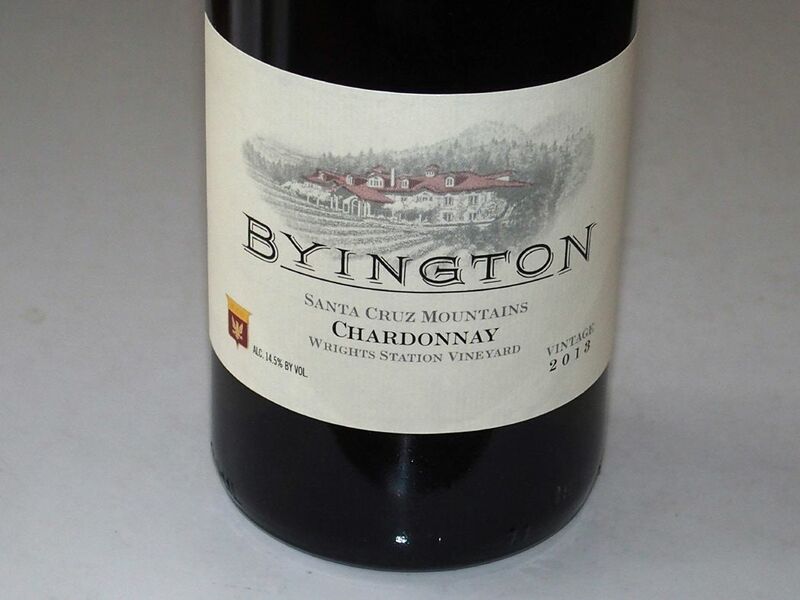 The Byingtons planted 9 acres of Pinot Noir and Byington Vineyard & Winery was established with its inaugural release in 1987. In 2013, Los Altos Vineyards bought Byington and updated the grounds and facilities which sit on 95 acres and include a wine cave. 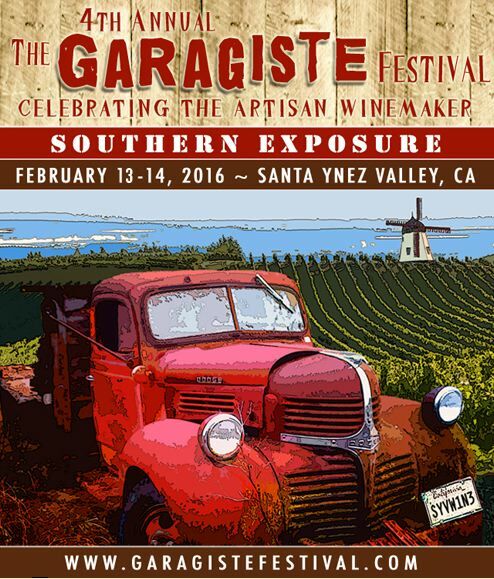 Beside estate grown Pinot Noir and Chardonnay, Byington sources other grape varieties from California winegrowing regions. In 2014, Los Altos Vineyards bought a 240-acre ranch in Alexander Valley in the Pine Mountain-Cloverdale Peak AVA. The ranch has 36 planted acres of Cabernet Sauvignon, Cabernet Franc, Merlot, Petit Verdot and Chardonnay. The website is www.byington.com. The 2013 vintage represents the inaugural release of Camlow Cellars estate Pinot Noir, Magna Porcum (“The Big Pig”). The Magna Porcum Vineyard is the culmination of years of effort. Clones planted include Dehlinger selection of Swan, Calera, Pommard 4 and DRC. Camlow Cellars is a partnership between long time friends, grower Alan Campbell and winemaker Craig Strehlow (formerly grower at Keefer Estate and winemaker for Keefer Ranch wines). Visit www.camlowcellars.com. I have followed winemaker Kent Humphrey since his launch thirteen years ago, and applauded his success. His wines are known to be consistent favorites of wine critics, and his wine labels, original works of art by very accomplished artists, make the wines even more enviable and even collectable. 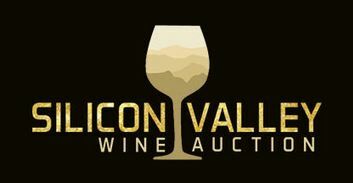 The wines are sold primarily through dedicated followers who belong to the mailing list, with limited retail distribution. Visit www.erickentwines.com. Winemaker Theresa Heredia is carrying on the innovative work started by founding winemaker Gary Farrell many years ago. 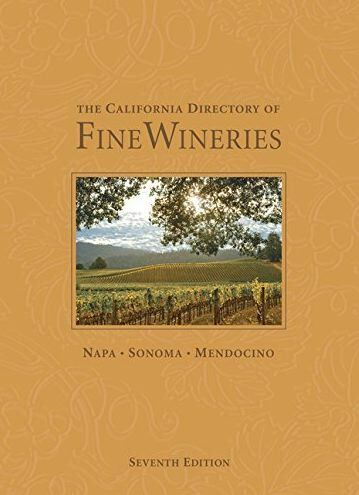 Both the exemplary Pinot Noir and Chardonnay wines are noticeably higher in acidity than most wines produced today in the Russian River Valley, giving them an inviting vibrancy, age ability and serving as ideal food companions. Special bottles under the “Inspiration Series” challenge both the winemaker and the consumer to learn and discover. 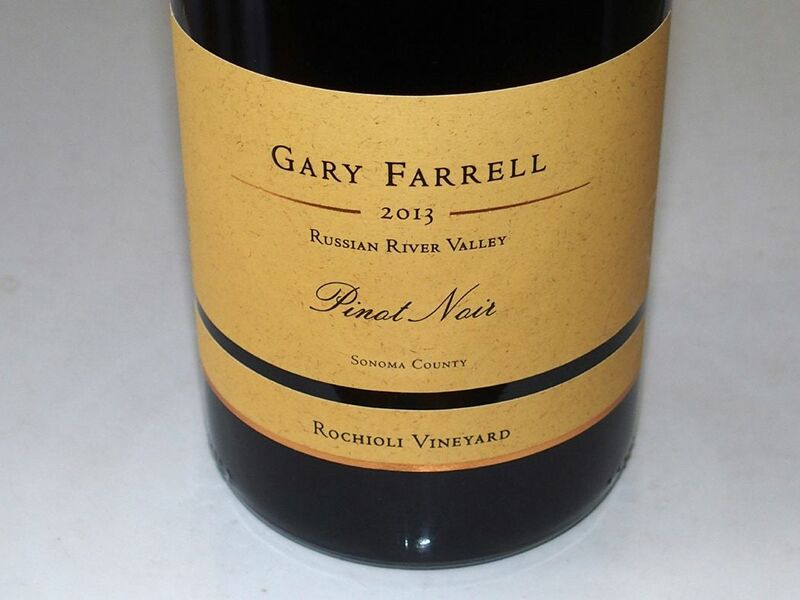 Visit www.garyfarrellwines.com. 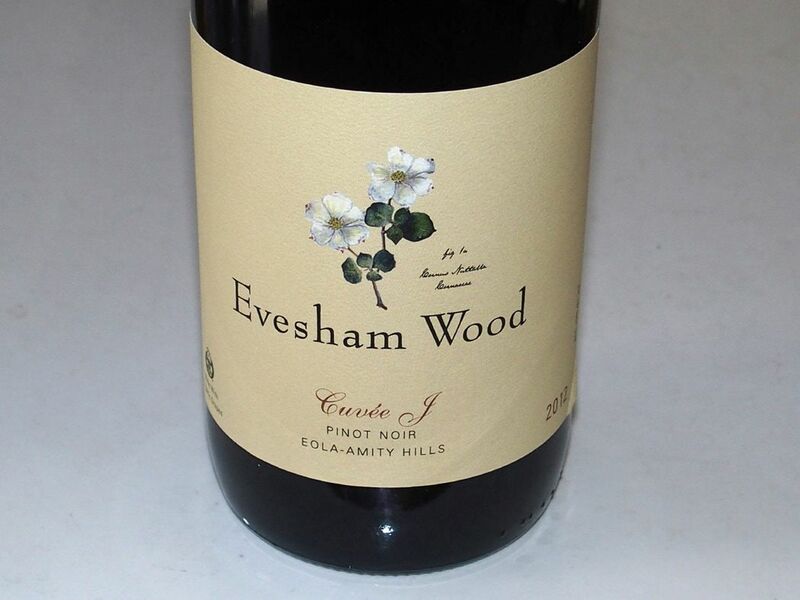 Owner and winemaker Stewart Johnson crafts a single Pinot Noir from the 8.5-acre Kendric Johnson Vineyard located in Marin County, just south of the Petaluma Gap. Planted in 2002 to Mt. Eden, 115, Martini and Pommard clones. There was no 2011 vintage produced and only a small amount of the 2012 vintage was bottled as a Reserve. 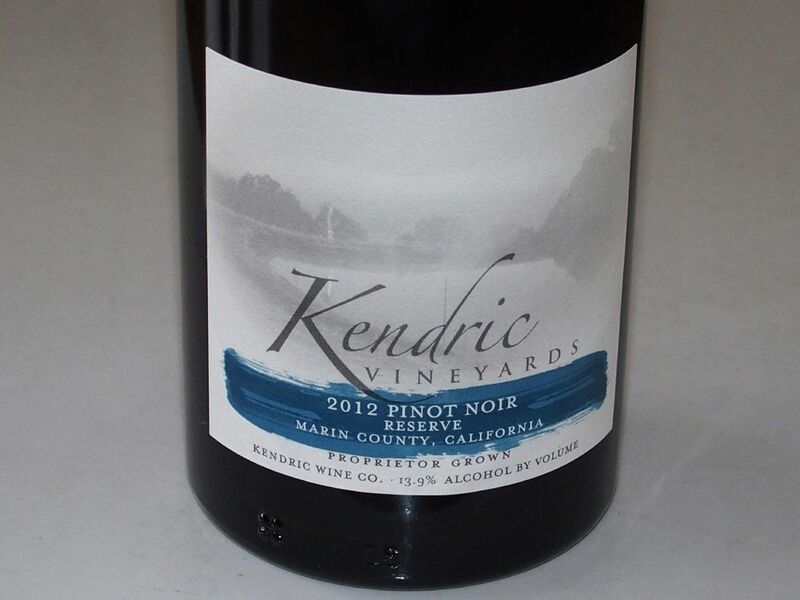 Visit www.kendricvineyards.com. The two Pinot Noirs reviewed below and the two Chardonnays reviewed later in this issue are also current new releases. The Mardikian Estate Vineyard is now in its second release. More blocks are coming on line in this sixth leaf along with additional clones. The website is www.macphailwines.com. 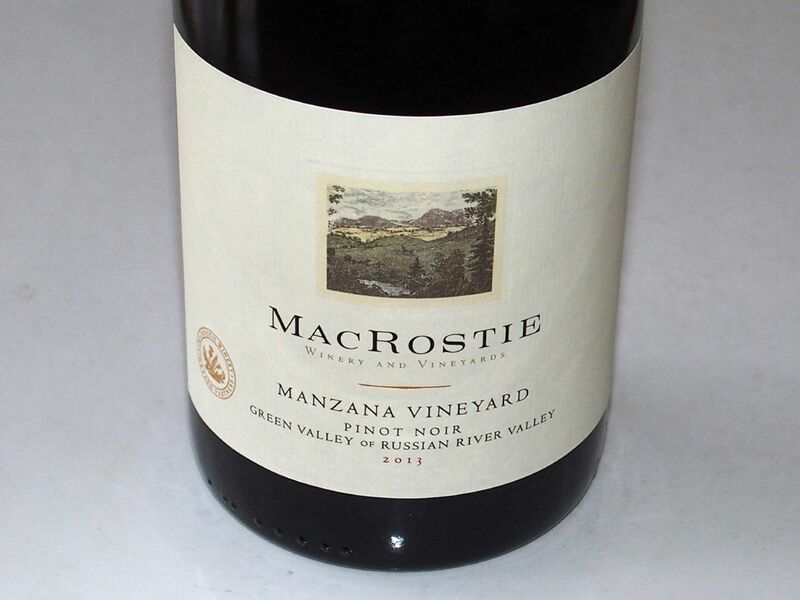 Several years ago, veteran winemaker Steve MacRostie took a step back from the business side of running his namesake winery to guide the winery’s vineyard program and work alongside winemaker Heidi Bridenhagen to make MacRostie wines. The vineyard program now includes a new estate vineyard in the Russian River Valley. 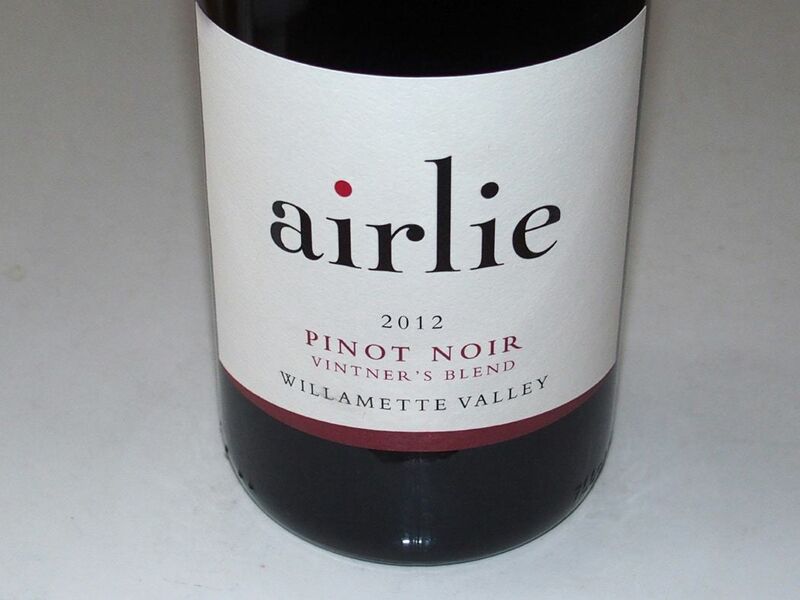 As the vineyard program has expanded, so has the number of vineyard-designated Pinot Noirs, two of which are featured here. The new MacRostie Estate House is located at 4605 Westside Road in Healdsburg and offers an array of intimate seated venues for experiencing three tasting flight options. Visit the website at www.macrostiewinery.com. Patz & Hall’s founders have discovered numerous vineyards that have become famous among Chardonnay and Pinot Noir enthusiasts. They have also helped to further elevate the perception of already highly regarded sites. Hyde Vineyard is a good example. Hyde Vineyard was just nine years old when Patz & Hall started working with it in 1990, but there was already a sense that Larry Hyde had established a remarkable vineyard. Patz & Hall is one of the first wineries to make vineyard-designate Chardonnay and Pinot Noir from Hyde. The acclaimed Chenoweth Ranch was planted specifically for Patz & Hall by vineyard manager Charlie Chenoweth. The Patz & Hall founders developed a working relationship with the Martinelli family over the years, and new access Chardonnay from Martinelli’s Zio Tony Ranch and Pinot Noir from their Burnside Vineyard. For more information, visit the website at www.patzhall.com. 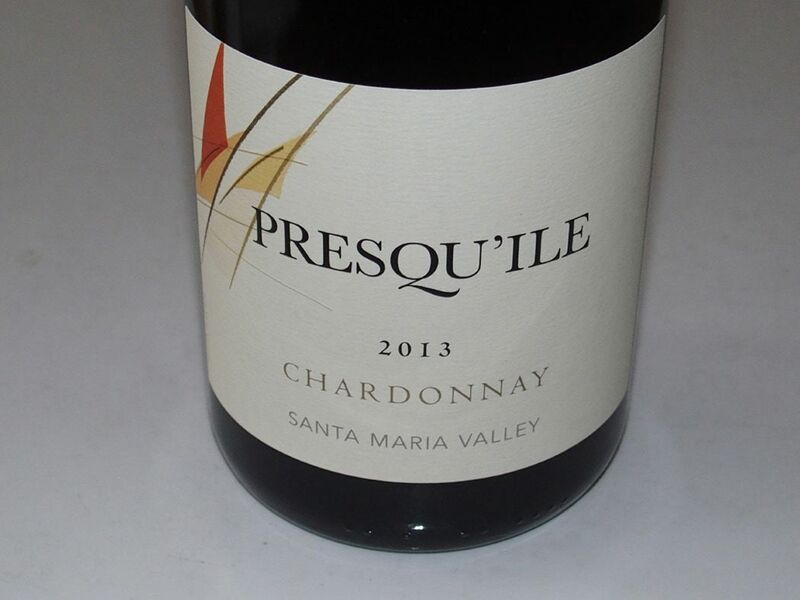 Presqu’ile (pronounced press-KEEL) is run by two generations of the Murphy family, specializing in Pinot Noir, Chardonnay and Sauvignon Blanc. The focus of its winegrowing program is the 73-acre Presqu’ile Vineyard, although additional grapes are sourced from local acclaimed vineyards including Bien Nacido Vineyard. Winemaker Dieter Cronje is crafting exciting wines here. Vinification includes native yeast fermentations, judicious use of whole clusters, appropriate new oak and extended aging in barrel. A modern gravity-flow winery has been built on the estate property designed to Matt Murphy’s and Dieter Cronje’s specifications. The structure is an impressive hospitality destination. Situated on top of a hill, with ocean and vineyard views, the winery is beautifully designed and offers one of the most memorable wine tasting experiences in California’s Central Coast. For details, visit www.presquilewinery.com. 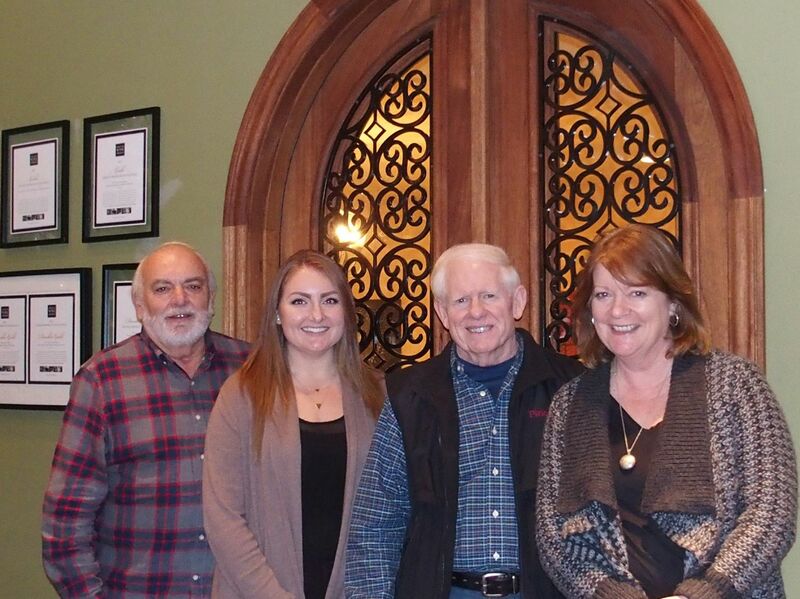 Owner and winemaker John Benedetti’s great grandfather was named Sante Arcangeli (SAHNtay AreCANJuh Lee). He built a business in the small farming town of Pescadero on California’s north coast that became known as Arcangeli Grocery Company, a world famous bakery and gourmet market under the direction of Sante’s grandson, Norm Benedetti and his spouse Shirley. It is now owned by Sante’s great grandchildren, John’s brothers Mike and Don. There was a wine cellar under the store and Sante laid down many sought-after French and California wines in the 1970s. These wines turned John onto wine early in life. John taught himself to brew beer by his late teens and early 20s, he moved onto wine by his mid-20s. Ryan Beauregard, the Brassfield family and James MacPhail all acted as mentors and teachers. It started as a hobby and soon became a hobby gone haywire. Now he produces wonderful Pinot Noir and Chardonnay primarily from vineyards in the Santa Cruz Mountains. A tasting room is located in historic Pescardero, CA, adjacent Duarte’s Tavern. Check website for days and hours. The wines are also sold on the winery’s website. Visit www.santewinery.com. Former Williams Selyem winemaker, Bob Cabral, is now the Director of Winemaking for Three Sticks. The 2013 wines were crafted by winemaker Don Van Staaveren who joined Three Sticks in 2004. In January of 2015, Don transitioned to an emeritus winemaker at Three Sticks. The winery’s restoration of the historic Vallejo-Casteñada Adobe in downtown Sonoma has been completed and is open by appointment only. Visit www.threestickswines.com. 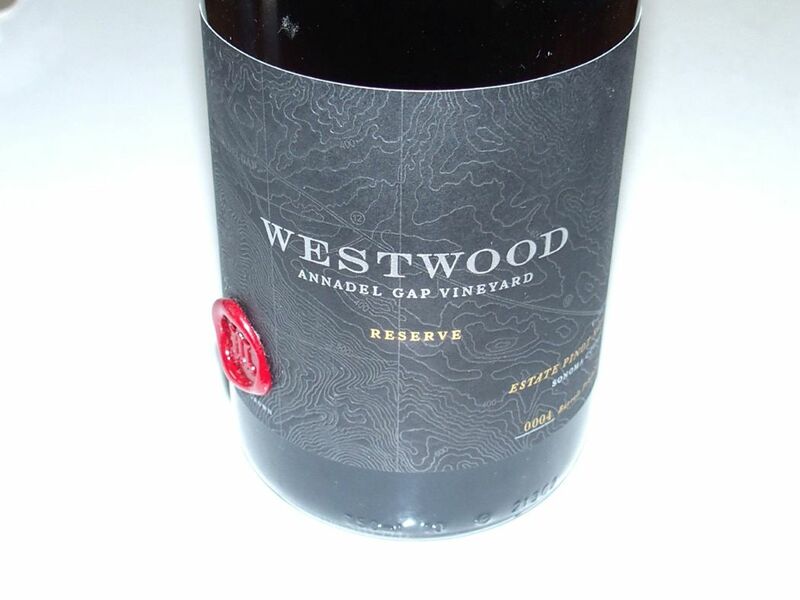 Winemaker Ben Cain joined Westwood Estate Winery in Sonoma Valley in 2014 after leaving Twomey (and a short stop at Hirsch) at the urging of David Ramey, who has been asked to bring this unique estate back to prominence. All wines are sourced from Annadel Gap Estate Vineyard, located in the northern reaches of the Sonoma Valley, in a tight passage between Hood Mountain and nearby Sonoma Mountain. The wines are just beginning to be released. The upper portion of the Sonoma Valley is actually cooler than much of the Russian River Valley region and is more akin to the Petaluma Gap. The soils in the vineyard are varied, with fractured shale and sandstone interspersed with river gravels, clay and sand. 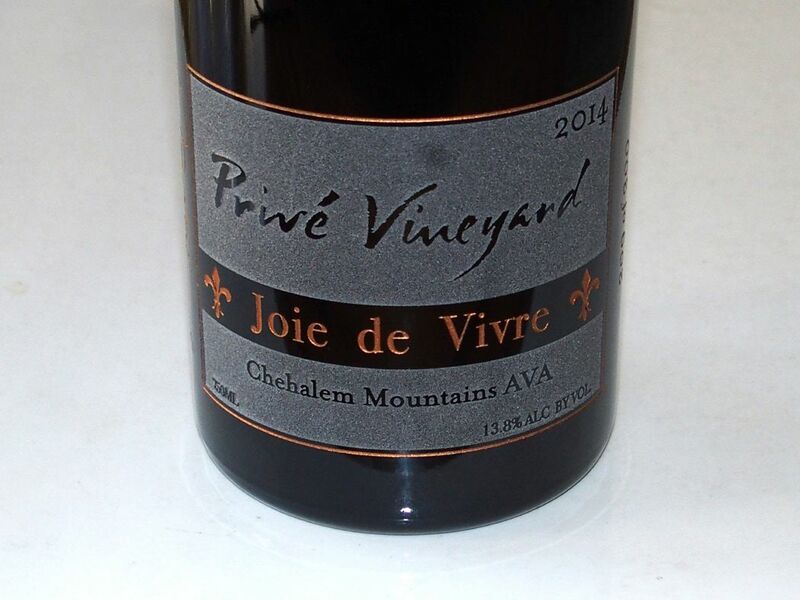 Vine plantings began in 2001 and there are nine Pinot Noir clones including Calera, 777, 115, 943, Mt. Eden, Pommard and Chambertin. In all, there are 15.62 acres planted to Pinot Noir in ten distinct blocks, alongside a variety of Rhone varieties, for a total of 22.46 planted acres. Significant investments have been made in the vineyard with Biodynamic™ consultant Philippe Coderey helping to refine the approach to farming Annadel Gap Vineyard. Plans are afoot for Pinot Noir from other appellations including a 2015 release from the Wendling Vineyard in Anderson Valley. A tasting room is located on the Square in Sonoma. Visit www.westwoodwine.com. Winemaker Bob Cabral has now departed and Jeff Mangahas is now in charge of winemaking. Although the 2013 vintage in the Russian River Valley was reported as delivering bountiful yields with grapes achieving full maturity despite the threat of inclement weather late in the season, this small sampling of Williams Selyem Pinot Noirs seemed to fall short in quality compared to the previous 2012 vintage, at least now. The ideal drinking window is said to be about 2017-2027 for these wines and my scores may prove low over time. Williams Selyem wines are allocated through a mailing list at www.williamsselyem.com. 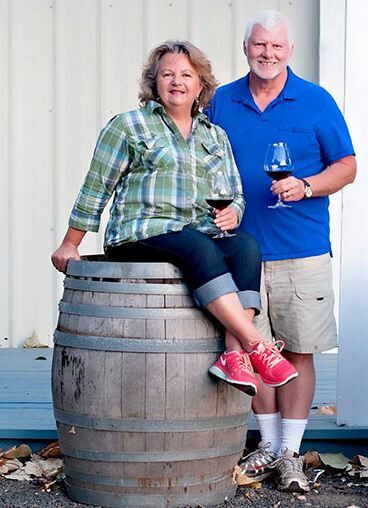 Winemaker Jim Schultze along with spouse Judy and son Spencer, continue to craft remarkable Pinot Noir wines from his estate Schultze Family Vineyard and nearby estate Charmant Mountain Vineyard in his small, modern winery in Corralitos. His wines have appearing on my All-American lists multiple times and have maintained an impressive badge of consistency since the first vintage in 1999. Visit the tasting room at the winery or the new tasting room in Carmel-by-the-Sea and you will quickly see why I have been a fan for many years. The winery’s mailing list is one of the few that I continue to participate in. The website is at www.windyoaksestate.com. Most Chardonnays are made by pressing the grapes before fermentation to separate the juice from the skins, seeds and stems. The skin fermented Chardonnay is made like a red wine, fermented with skins and seeds, taking advantage of the aromatics and all these solids have to offer. The inspiration for this wine came when the winery!s winemaker and GM were dining out in Manhattan and were looking for something out of the ordinary to enjoy with dinner. 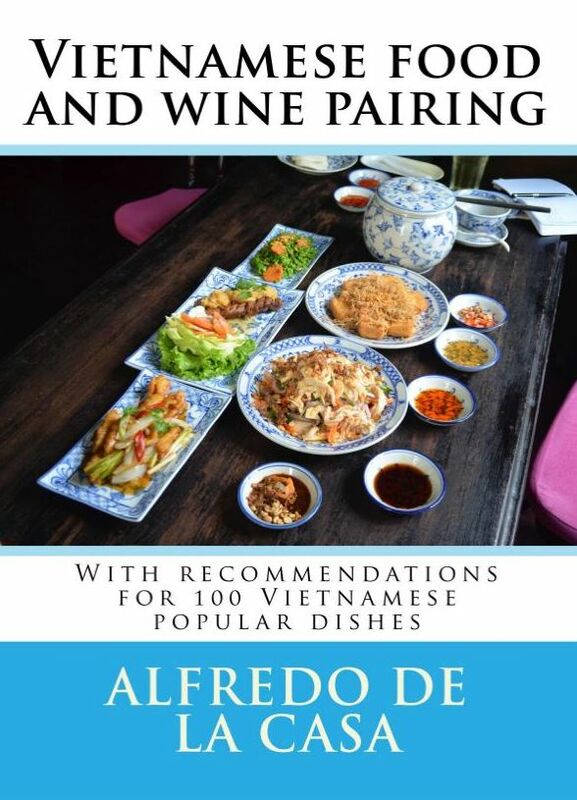 They chose a bottle of skin fermented white wine, commonly known as “orange wine. The wine was intriguing with its extraordinary aromatics and richness. Excited by the wine, the winemaker and GM decided to try their hand at this style of wine with the 2013 vintage. Grapes for the Gary Farrell Skin Fermented Chardonnay were harvested at 22.5º Brix, de-stemmed, and transferred to four mini, neutral oak fermentation tanks. The grapes sat at room temperature for a few days until native fermentation spontaneously began. The grape skins were then pushed to the top and the cap was punched down three times per day for seven days until fermentation was complete. The wine was left to age in the mini oak but split into two lots: half left for 30 days with the skins and seeds, and the other half for 60 days. The 30-day skin contact wine was floral and aromatically driven, while the 60-day skin contact wine was more structurally driven. The finished wine is a blend of both lots.